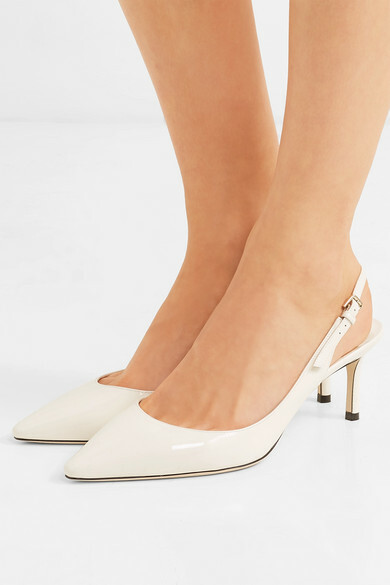 Pristine white pumps just feel so summery - and look even more chic in a slingback silhouette. 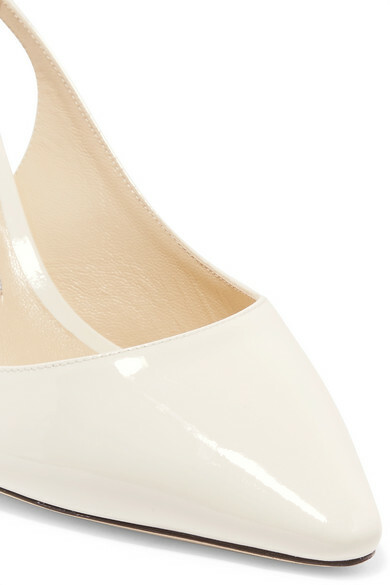 Jimmy Choo's signature 'Erin' pair is set on a comfortable 60mm heel, and made from patent-leather with a beautiful sheen. Shown here with: Rebecca Vallance Blazer, CASASOLA Bodysuit, Goldsign Jeans, Loewe Shoulder bag, Charlotte Chesnais Earring, Alighieri Necklace.